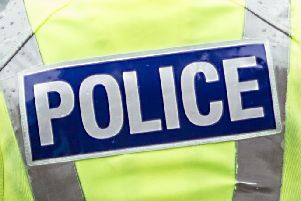 A 59-year-old motorist who had been disqualified from driving was arrested after police found him behind the wheel in Cumbernauld. The incident happened at 9.30pm on Wednesday when officers saw his car was stopped on the B8054 in the Lye Brae, near North Carbrain Road. The man allegedly lacked both a valid driving license and an insurance certificate. He was taken to a police station in Coatbridge. Hewas held in custody, pending a court appearance in Airdrie the following morning. Meanwhile police confirmed that a 38-year-old woman was arrested for drink driving on Thursday. It is alleged that the woman was four times over the legal alcohol limit to drive.